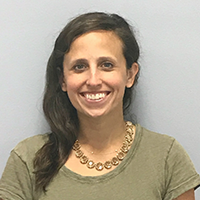 Elise Keels joined Team IMPACT in July of 2018 and currently serves as the Regional Director of Programs for the Mid-Atlantic region. She is a Certified Child Life Specialist and plays an integral role in all facets of the Team IMPACT program. As Regional Director, Keels is active in establishing relationships between participating families and athletic teams in the matching process, while cultivating the medical and athletic networks within the region. Keels came to Team IMPACT with over 10 years of clinical experience at Children’s Hospital of Philadelphia. Keels served as a clinical leader and provided support to patients and families within Adolescent Medicine, Nephrology, Endocrinology, Hematology, and Oncology. Keels calls Philly home with her wonderful family and enjoys taking in the city’s great restaurants, parks, and festivals. She has major Hoosier pride, loves nature, running, and seeing the world through her little one’s eyes. 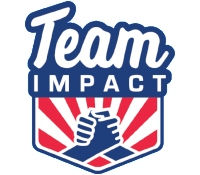 Team IMPACT has always been a valued organization in my practice, as I constantly referred families through out their treatment journeys. 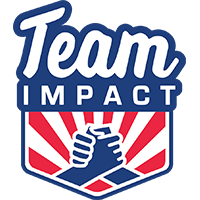 It is an honor to now take on a role where I can support patients and families in the community through a phenomenal experience that Team IMPACT provides. The power of team is truly a remarkable thing and I love being able to cheer on our amazing children, families, and athletes as they conquer their goals on and off the field.